Turin provides the perfect blend of a great past with a promising future. The first capital of Italy in 1861 and the birthplace of the Savoy royal family, Turin is today an eclectic and dynamic city: contemporary art and ancient beauties, Baroque artworks alongside modern design, all surrounded by enchanting nature. The capital of Baroque art, Turin offers visitors plenty of majestic buildings featuring richly decorated façades, bordering city squares and streets. A visit to Turin can begin in the historic city centre, in the heart of the city in particular, in the 16th Century Piazza Castello, dominated by spectacular buildings: Palazzo Madama with its 18th Century Baroque façade by Filippo Juvarra (inside, it houses the Civic Museum of Antique Art); the Baroque church of San Lorenzo, topped by a tall cupola; Palazzo Reale with the gardens and residences of the Savoy dynasty, declared a World Heritage Site by UNESCO. Not far from there are the Teatro Regio and the Duomo of San Giovanni Battista, with its 17th Century chapel adorned with black marbles guarding the Holy Shroud, in which it is believed the body of Christ was wrapped after crucifixion, visited every year by thousands of pilgrims. The Mole Antonelliana, 165.15 metres high, originally built as a synagogue and now home to the National Film Museum, is the emblem of the city. Art is ever present in the life and culture of Turin: the Science Academy building is home to two very important internationally renowned institutions, namely the Museo egizio Egyptian Museum (among the leading museums in the world dedicated to this civilisation) and the Savoy Gallery, which guards Flemish and Dutch masterpieces. As far as contemporary art is concerned, in addition to the prestigious Gam, the Gallery of Modern and Contemporary Art (exhibiting masterpieces from the end of the 18th Century to date, with works from Italian artists - the Piedmont section is conspicuous and interesting - and from foreign artists, such as Modigliani, Klee, De Chirico and Warhol), Turin offers new buildings constructed on occasion of the twentieth Winter Olympics, marvellous examples of contemporary architecture: the huge Palavela covered volleyball court, refurbished by the architect, Gae Aulenti, and the innovative and minimalist Palahockey hockey rink designed by the Japanese architect, Arata Isozaki. By night, the city comes to life at the Murazzi, along the Po, or accommodates relaxing walks along the pedestrian paths of the Quadrilatero Romano Roman Square. But despite being internationally known as an industrial city, the capital of the Italian automotive industry with Fiat, Turin is also a city of greenery and nature. "The city with the most beautiful natural position", according to the French architect, Le Corbusier. 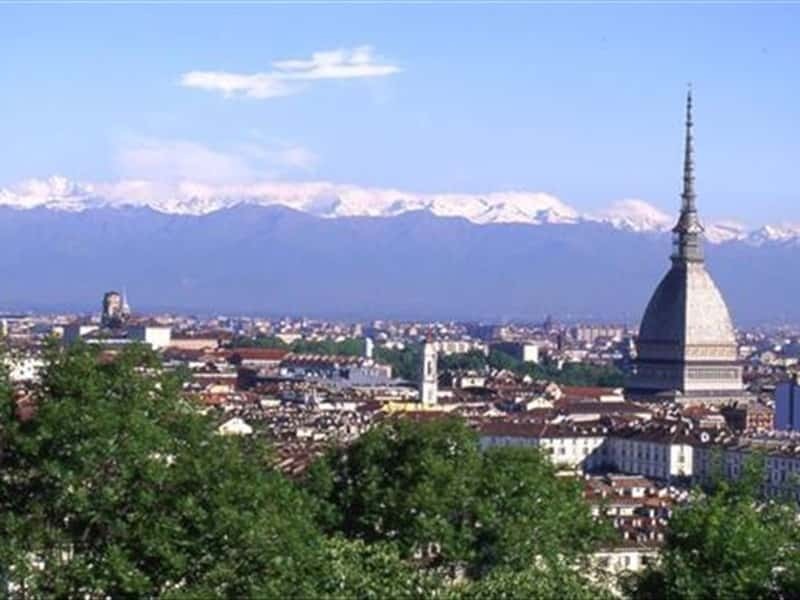 With 26 million square metres of parks and gardens, 400 kilometres of avenues, 70 kilometres of parkland along the Po and more than 60,000 trees, Turin boasts some exceptional views for a city, along with glimpses of untouched beauty. With the beautiful backdrop of the Alps, the Olympic mountains and the famous ski resorts. Indeed, it is the Alps, together with the river Po, which make Turin suitable for any sport: from skiing to football, ice skating and canoeing, hiking and rafting, golf and cycling, everything is within easy reach. Don't miss a visit to the Egyptian Museum which, with its black granite statue of Ramses II, the tomb of the architect, Kha, the papyrus of mines, legendary mummies and several copies of the mysterious Book of the Dead, it is the main Italian museum dedicated to this civilisation, second in the world only to the Cairo Museum in terms of importance. The treasures that Turin guards are endless, and sometimes unexpected, such as the surprising National Film Museum which is concealed within the 19th Century Mole Antonelliana, and is the "tallest" museum in Europe: 3,200 square metres distributed over five floors, retracing the history of national and international filmography. Street market and small antiques enthusiasts will not be let down, as Turin is home to the lively and crowded Porta Palazzo market, the largest open market in Europe, and to the Balòn, the city's most famous flea market. This town web page has been visited 191,829 times.